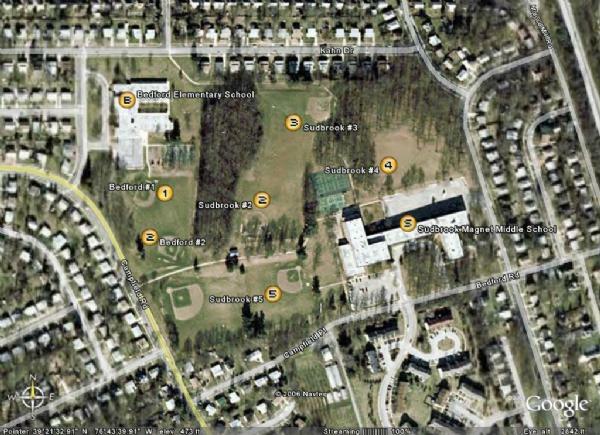 Park around the corner from the school on Campfield Rd near the sidewalk between Bedford #2 and Sudbrook #1. Bedford #2 is the field to the left side of the sidewalk. It is also the second field to the right of Bedford Elementary (Bedford #1 is the field closest to the school). Click here for a satellite map of the Bedford and Sudbrook fields.